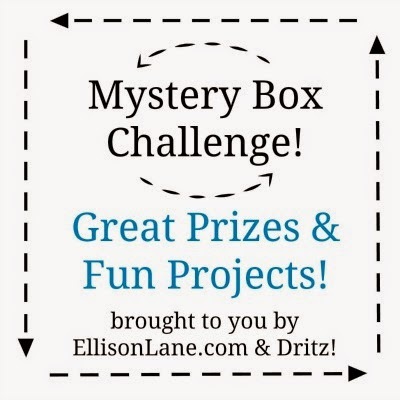 A few weeks ago, Jennifer of Ellison Lane invited me to participate in the Dritz Mystery Box Challenge. To participate in the challenge I would be sent a “mystery box” containing a variety of Dritz sewing tools and notions and then get to create something using at least five of those tools. This is the box that showed up at my house. Whoa! Look at all of those goodies! It was fun to see what was available and get my wheels turning. Who out there hasn’t used some kind of Dritz sewing notion? They’ve been around for almost 100 years. I remember my mom using them when she sewed and when I first started taking sewing lessons in my neighbor Pam’s basement when I was 10. Dritz has a fantastic new site, www.Dritz.com where you can see the wide variety of their products as well as find tutorials and patterns for using them. Here are a few of the Dritz products I used for my project. I’ve had a specific bag project in mind for a while and this finally gave me the push to make it. I got these mini charms of Robert Kaufman prints last spring at quilt market. While I was there I saw Lee Chappell’s amazing bag she made with a similar palette and had to do something like it. So this bag is a shameless copy an “homage” of Lee’s beautiful style. My bag shape is different, so it’s not a total copy, but I definitely need to credit her as my inspiration. The sewing clips came in handy for assembling the bag. A few other fun new-to-me notions that I used were the Swivel hook on a tab for keeping track of my keys, the awl for making holes for the grommets. I have to admit, grommets have always slightly intimidated me so I’ve never actually used them. This was a perfect way to push me out of my comfort zone and just try it! And here is the finished bag. I brought it with us on our family Fall-break trip to Capitol Reef National Park. I think it coordinates nice with the scenery. I will be writing a tutorial for this bag in the coming weeks so you can make your own, if you so desire. In more fun giveaway news this week, Jennifer at Ellison Lane has three more boxes of Dritz supplies to giveaway. To enter, visit Jennifer’s giveaway post here. I hope this provides you with some fun inspiration of your own to pick up some fun new notions and try something new! I can hardly wait for the tutorial, I love your bag so much. So beautiful with the red rocks from your vacation. What a great looking bag!!! I would carry that everywhere too! <br />Will you be coming to Houston for the Quilt Market? I will! Will you be there too? Love the bag and would like to learn to use grommets. Very cool bag, I haven&#39;t tried grommets yet, but they are on my to do list. Very cute bag – creative!!! what a beautiful bag, Amy! This is such a great color pallet. Amy, your bag is so cute!!!! Love it!!! Loooooove your Quilted Bag!! It is Beautiful!!! Awesome job! Such a cute bag amy. I think it&#39;s safe to say you met the challenge. Such an amazing bag! I love it. It&#39;s just a suggestion, but maybe, you would like to make a tutorial for this bag. I just love how your bag has a bow and all that colorful fabric. Such an amazing design. And the scenery brings every beauty in your amazing bag. Wow Amy — I LOVE it! I&#39;m so glad you conquered your grommet fear — I love anything with grommets — I think they&#39;re so cool and they&#39;re PERFECT on your bag!!! Beautiful bag Amy, and beautiful photos!! Certainly will try to get my hands on those cool clips! Perfect bag…can&#39;t wait for the tutorial!